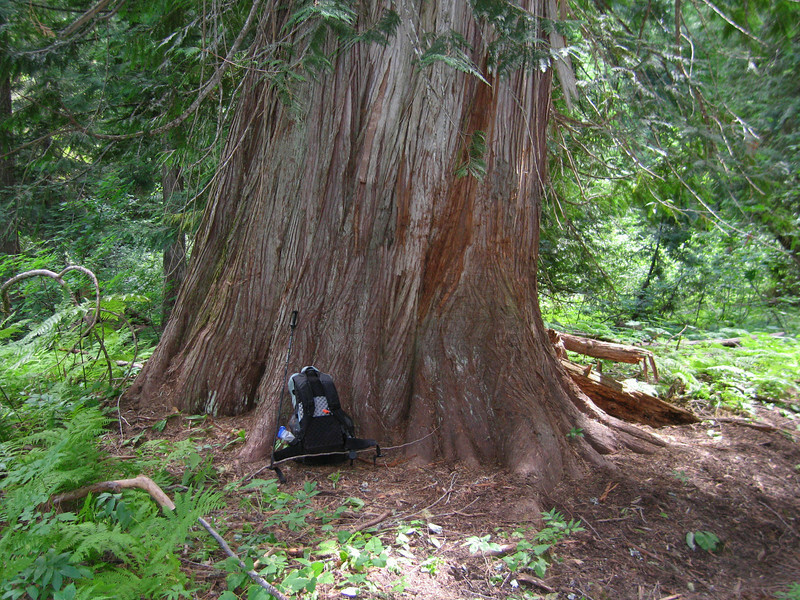 Day 5: A big cedar tree, of which there were many. Did 21+ miles to reach 6:00 shuttle at High Bridge. Met Saul and Joseph and family, and took shuttle to a ranch where I stayed the night in a small rustic cabin. Showered and ate a ton of food.